When choosing a new floor, there are so many elements to consider – the material, colour, plank size, thickness, species… the list goes on. 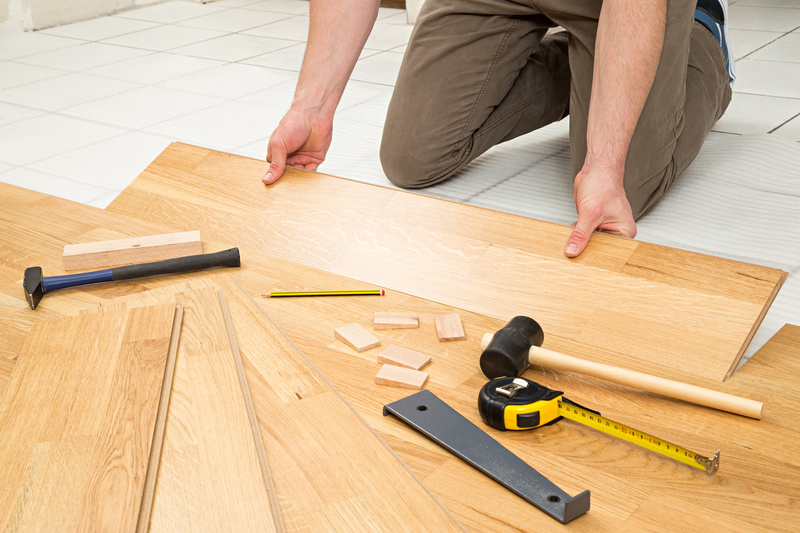 Another thing to consider is the installation – how is your floor going to be laid once you finally bring it home? If, like many other homeowners, you are searching for a hassle-free installation process, floating floors are fast becoming the top choice thanks to their quick and easy method that saves not only time but money. This blog aims to tell you everything you need to know about floating floors so you can make an informed decision about whether this installation process is right for you. Although the term implies a flooring material, ‘floating floor’ actually defines the installation method. Rather than gluing or nailing a floor down, planks or boards interlock by clicking together (though some tongue and groove floating floors use an adhesive). This versatile method means that you can install over an existing floor or concrete subfloor. Picture a floating floor as a jigsaw puzzle – the pieces fit together and don’t rely on the surface underneath to stay in place. A floating floor combines weight, assembly and friction to ensure that the floor doesn’t move. The condition of the subfloor ultimately determines the stability and is something you need to consider before opting for the floating floor method. The simple installation process means that floating floors are DIY friendly with less equipment needed than other installation methods. This dismisses the need for a professional, usually resulting in a cheaper cost. Another benefit is that the technique allows just enough space for floors to naturally expand and contract in response to changes in room temperature and humidity. Floors installed using this method tend to be thinner materials and therefore not as substantial as ones glued or nailed to a subfloor. Floating floors are not recommended in areas with frequent changes in moisture levels as the continuous expansion and contraction of planks can result in a warped floor. However, this is something that can be controlled internally with humidifiers and dehumidifiers. Many products at Get Floors are available for floating floor installation, including laminate, bamboo and engineered timber. If this is something you are interested in for your home, contact us for more information.